Anna was born in Wexford but is currently living in the wild Midlands (the HEART of Ireland) with her daughter, Partner and various other 4-legged family members! Anna is a fully ordained Priest of the Fellowship of Isis since 2014, Clergy member of Pagan Life Rites, member of the Order of Bards, Ovates and Druids (OBOD) and Kilkenny Druid Grove, Celtic Shamanic Therapist, Celebrant, Holistic Counsellor, Reiki Master/Teacher, Hedge-witch, Crystal Therapist/Teacher, Master Pendulist, Poet, Linguist & Mother! She currently co-owns and runs a Holistic Therapy Centre in Athlone, Co-Westmeath called Oak Tree Holistic Therapies, where she works as a Counsellor, Holistic Therapist and Trainer. She also makes and sells holistic items such as her own range of Crystal Healing jewellery. Anna has been co-running a small outdoor festival/gathering for all those with an interest in Irish/Celtic Spirituality since 2010 called ÉIGSE SPIORAD CHEILTEACH. Anna is passionate about her family, trees, women’s issues and all those seeking equality, the earth below her feet, reading, promoting mental health and empowering all people to find their own wisdom & healing within themselves. She draws her influences from; nature, the moon, indigenous spiritual & Druidic practice, the amazing people and teachers she has been fortunate to encounter throughout her life and personal experience- which partly comes from living an alternative lifestyle as a child with a large extended family, travelling with horses and living in wagons, immersed in green wildlife, freedom and dirt! Anna can provide intimate and personally written ceremonies for your special day, working with you to make it a day you and your family/friends will always remember! 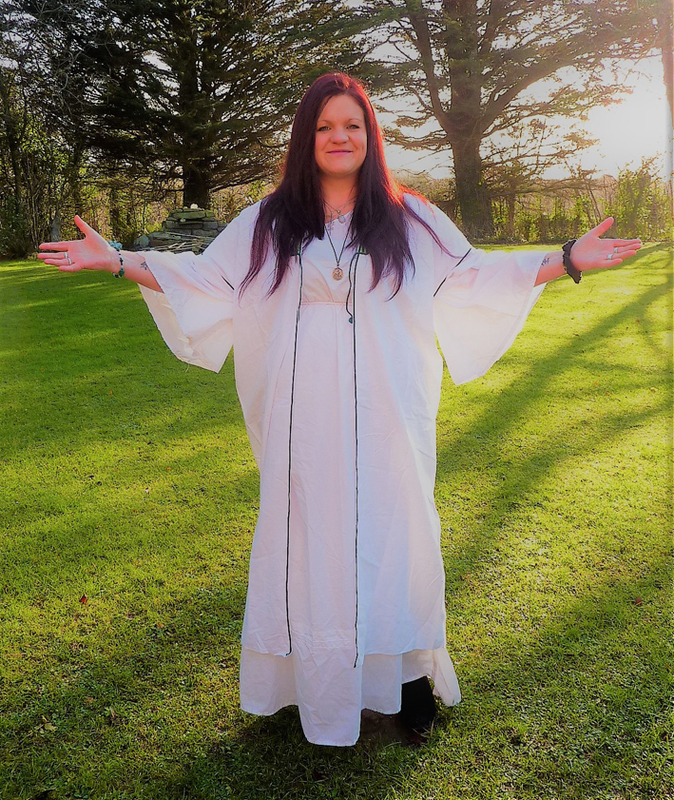 She offers a range of services to the Pagan and Spiritual community of Ireland regardless of race, sexual orientation, religious practice or gender. Most ceremonies are held outside in beautiful natural setting of your choosing.